A proposed ordinance from Councilwoman Chauna Banks that would change the way Metro Council vacancies are handled is heading to the Metro Council next week with no significant recommendations from the Plan of Government committee, which today met for the first time in three months. Banks previously asked the committee to comment on her proposal before the council’s Jan. 23 meeting, says Council Administrator Ashley Beck. 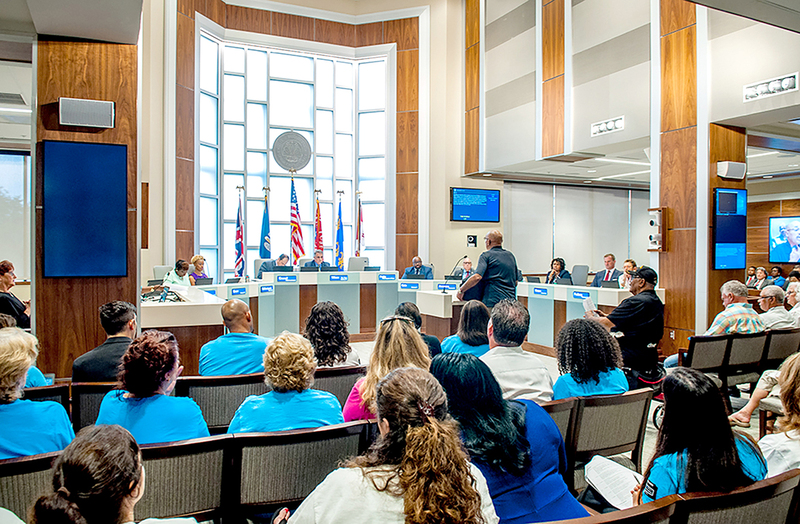 If adopted, Banks’ ordinance would create a procedure for allowing qualified residents to apply for and be considered for appointment to council vacancies. The process has been under the microscope since Councilman Buddy Amoroso was killed in a bicycling accident last summer and his widow, Denise Amoroso, was appointed to fill his seat. If approved, the ordinance would make the process for filling vacancies on unexpired terms more transparent to the public. For example, a notice of the vacancy would be posted on the city-parish’s official website, informing residents applications would be accepted from qualified voters residing in the same district as his or her predecessor. Each qualified applicant would then be considered as nominated for the position, along with any person nominated by a council member. Committee member Winston DeCuir recommended posting the public notice online within 72 hours of the vacancy, considering the 20-day window the council has to select a replacement while also allowing a “respectful amount of time to pass” in the case of a death. Decuir will share the committee’s findings next Wednesday, when the Metro Council takes up the item on its agenda.